Enjoy any one of our exclusive SkinTech facials to hydrate, brighten and exfoliate your skin. As we remove dead skin and impurities your skin feel replenished and alive. Check "services-spa services" for more info. Used by A-List celebrities and top super models, the Perfector, a non-surgical lifting treatment, utilizes microcurrent to regenerate cells and re-educate muscles. Perfector has several programs, which enhance cell regeneration, muscle toning, oxygenation, and circulation. Two of the programs are designed for highly efficient lymphatic drainage and detoxification. The Perfector “whispers” to your cells to increase their regeneration and “talks” to your muscles to re-educate your muscles. Muscles that have become elongated (jowls) will shorten. Muscles that have shortened over time (lip wrinkles) will lengthen and relax. The Perfector is FDA approved and painless. Click here for more information on the Perfector. 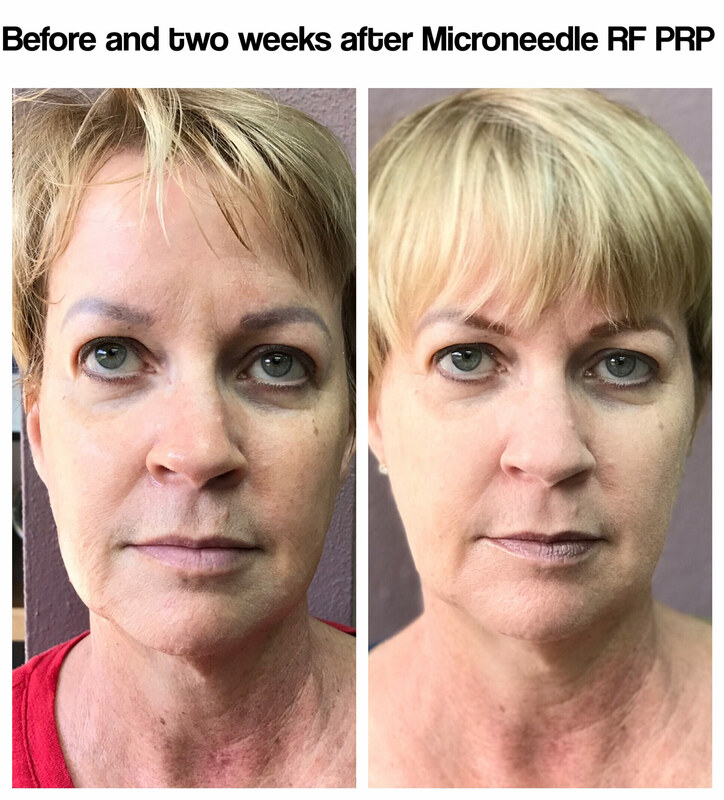 Collagen Induction Therapy , or microneedle, is a treatment using an electronic pen shaped device, studded with very fine needles that penetrate beneath the skins surface to promote collagen fiber production, elasticity, and blood flow to the treated area. The process creates tiny wounds, breaking down old scar tissue and stimulating skin cells. Skin plumps and thickens, reducing the appearance of fine lines, wrinkles, acne scarring, large pores, hyper-pigmentation. There is no downtime or discomfort. This is a way to exfoliate a drier skin. This is a diamond tip microdermbrasion that also puts a hydrating solution into the skin. It is a 3 step process. Step 1 - Hydradermbrasion - uses a gentle suction to lift the skin and buff it with the diamond tip. At the same time it applies a moisture solution into the skin. Step 2 - Oxygen Mesotherapy - uses an oxygen attachment that delivers active ingredients from an ampule chosen for your skin type. Oxygen is delivered in a continuous, pressurized stream that is 90-95% pure oxygen. Oxygen stimulates healing and collagen growth. It also is anti-inflammatory and anti-bacterial. Step 3 - Serum penetration - special tips are used specifically to penetrate serums.